3) How we start getting the data into the maps? [Robbie Mackay, Ushahidi] @tsepeaves_twitter Hi there. Are you looking for someone to install the platform for you? or to install it yourself? You could work with us on that deployment. Please ignore my last email and reply me of that, actually i need this urgently. 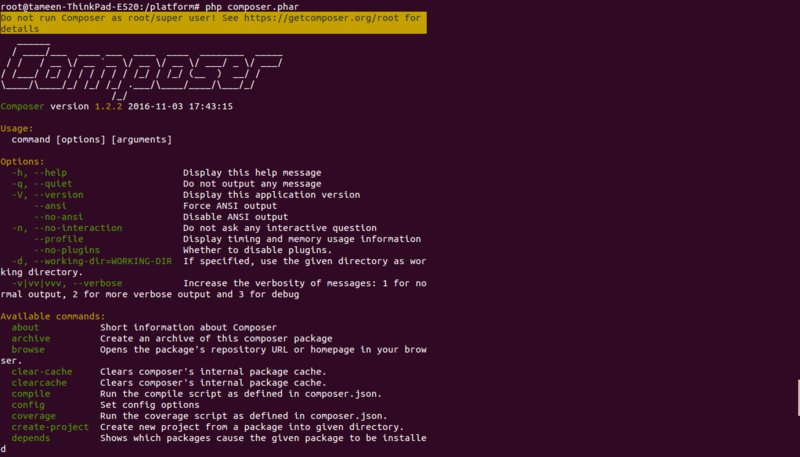 1- Installed php 5.5, MySql 5.6, Apache and Composer. 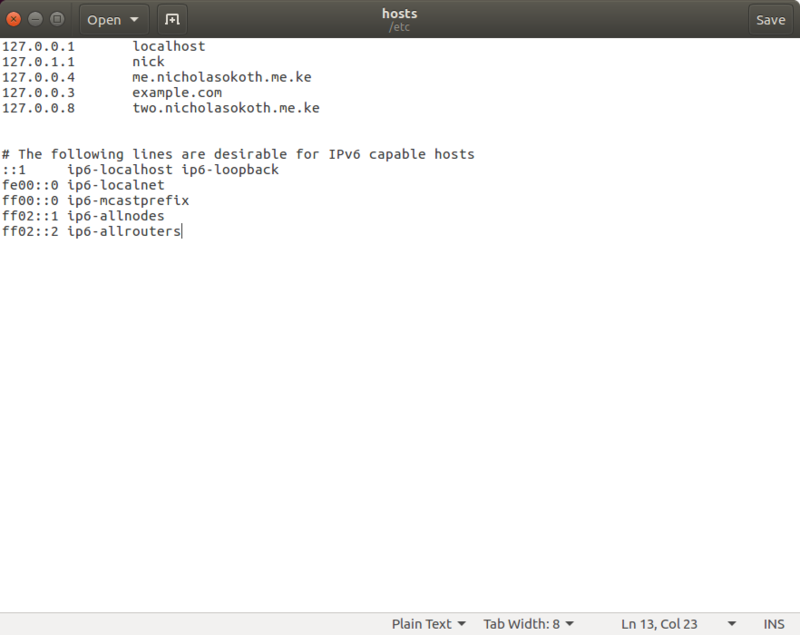 6- Copy the application/config/init.php file into application/config/environments/development/ (create this directory if it doesn't exist). 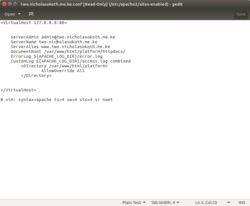 [David Losada, Ushahidi] did you run bin/update ? [David Losada, Ushahidi] You'd need to run the phinx database migrations somehow. 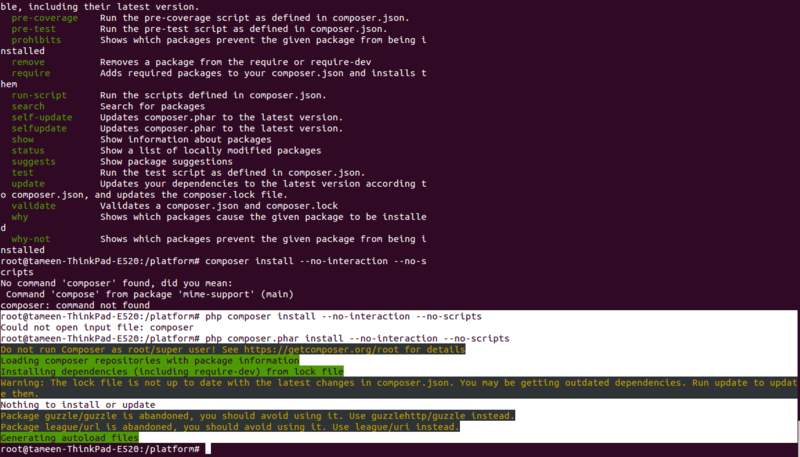 I'm not sure about some of the steps you took like creating/editing a mysqli.php file. Personally I've never needed to do that. [David Losada, Ushahidi] what happens if you run ./bin/phinx migrate -c application/phinx.php ? [David Losada, Ushahidi] that is a dynamic route, it’s not supposed to exist . index.php is all that is necessary to process those requests . Do you have a .htaccess file? 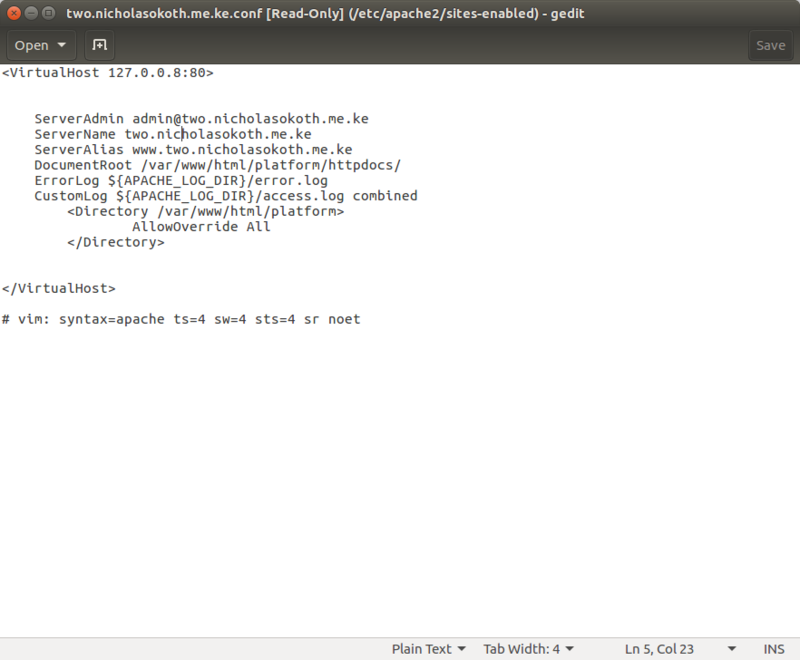 [David Losada, Ushahidi] and running apache too? david is it for me? 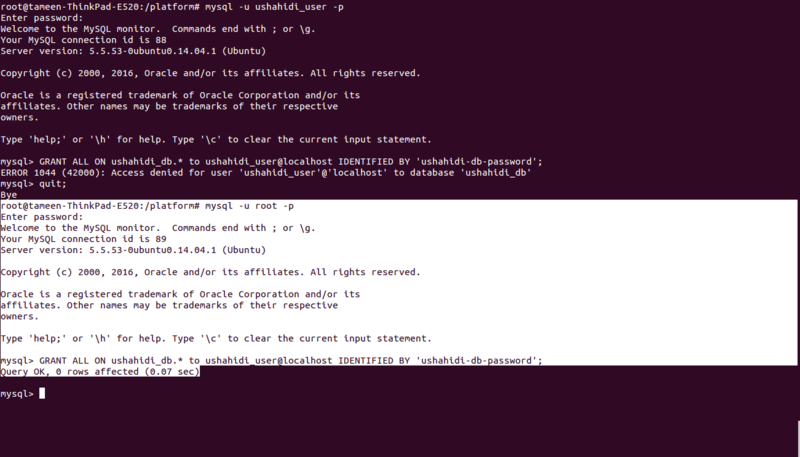 [David Losada, Ushahidi] samuraiNick, any other virtual hosts enabled in apache config? where do i have to put this? @ushbot where is this error log located? or anything is hould run? 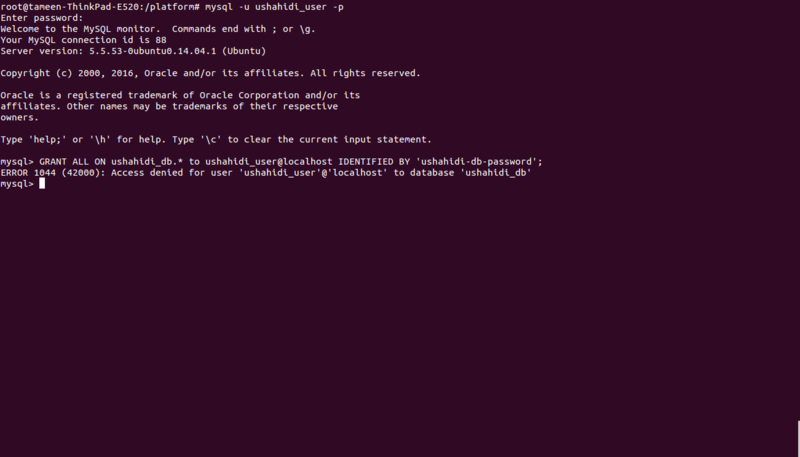 @ushbot should i change this in database or in .env file? capital letter & number, sorry i didn't get this?? @tameen i encountered the issue and couldnt change the requirements for a password for the user. i undo changes and it says the same thing? its shown the job failed? @tameen you did nt edit any other part of the file? foolish question, without the 'other stuff' line? ensuring the [mysqld] appears only once? which location didyou findthe file? there was none in etc folder? @d_samuraiNick_twitter - after apply changes and after removing changes, results are the same. do i send you my file you try? ok let me do this, and i will reply you later sir. actually i am on my way to home. which version of apache do you have? 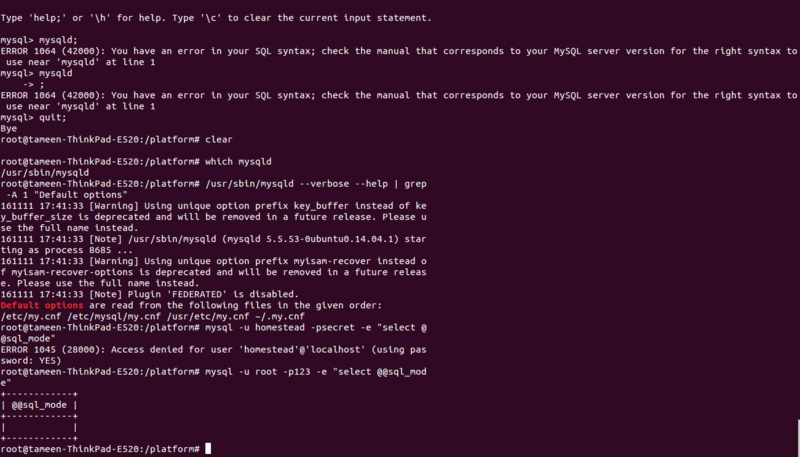 may you try to reinstall mysql? so php -v is 7.0? @ushbot I tried to use the developer tools and say add a new post. But I could not see any api operation in the console. Is there a trick I don't know?